* Amethyst is a violet variety of quartz often used in jewelry. The name comes from the ancient Greek ἀ a- ("not") and μέθυστος méthystos ("intoxicated"), a reference to the belief that the stone protected its owner from drunkenness. The ancient Greeks wore amethyst and made drinking vessels decorated with it in the belief that it would prevent intoxication. It is one of several forms of quartz. Amethyst is a semiprecious stone and is the traditional birthstone for February. 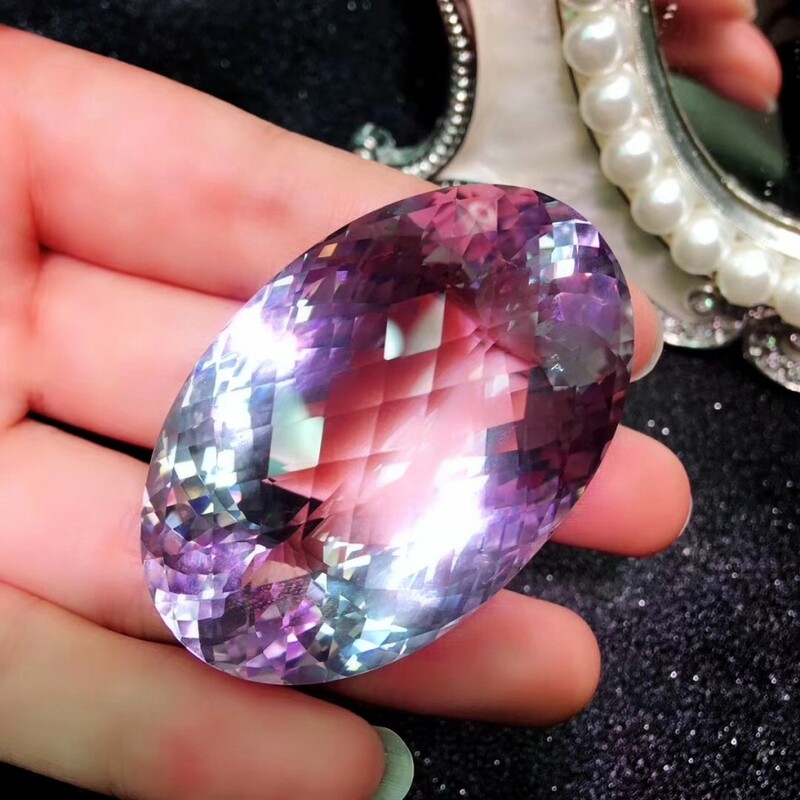 Up until the 18th century, amethyst was included in the cardinal, or most valuable, gemstones (along with diamond, sapphire, ruby, and emerald). However, since the discovery of extensive deposits in locations such as Brazil, it has lost most of its value. Collectors look for depth of color, possibly with red flashes if cut conventionally. 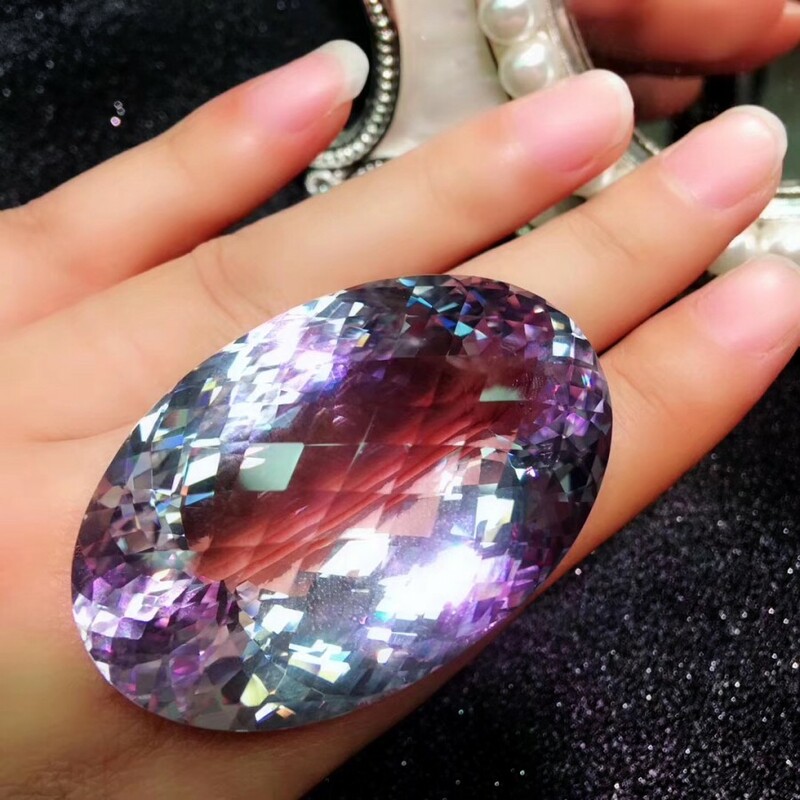 As amethyst is readily available in large structures the value of the gem is not primarily defined by carat weight; this is different to most gemstones where the carat weight exponentially increases the value of the stone. 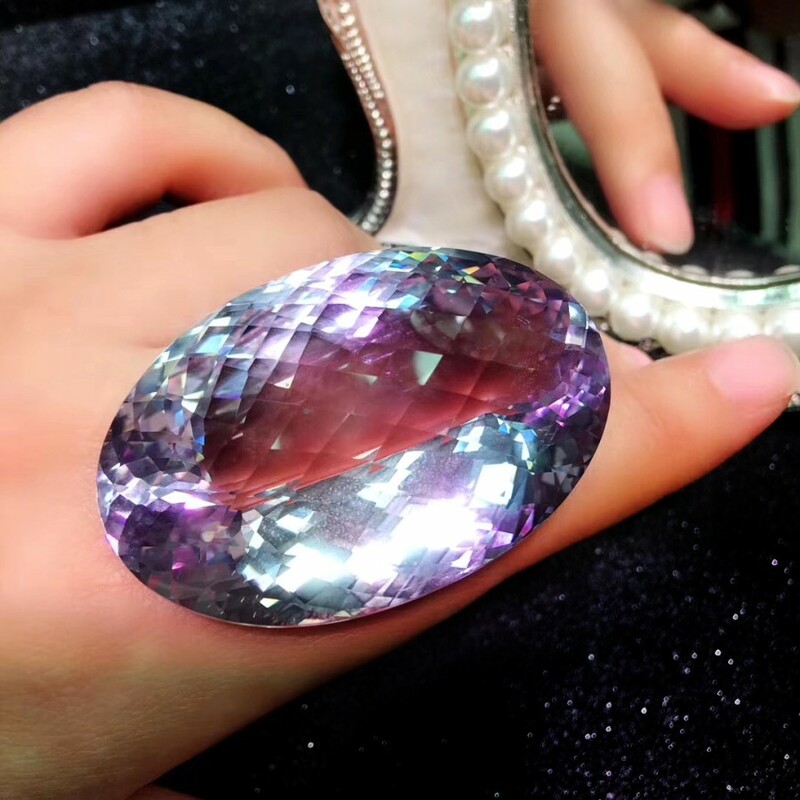 The biggest factor in the value of amethyst is the color displayed. 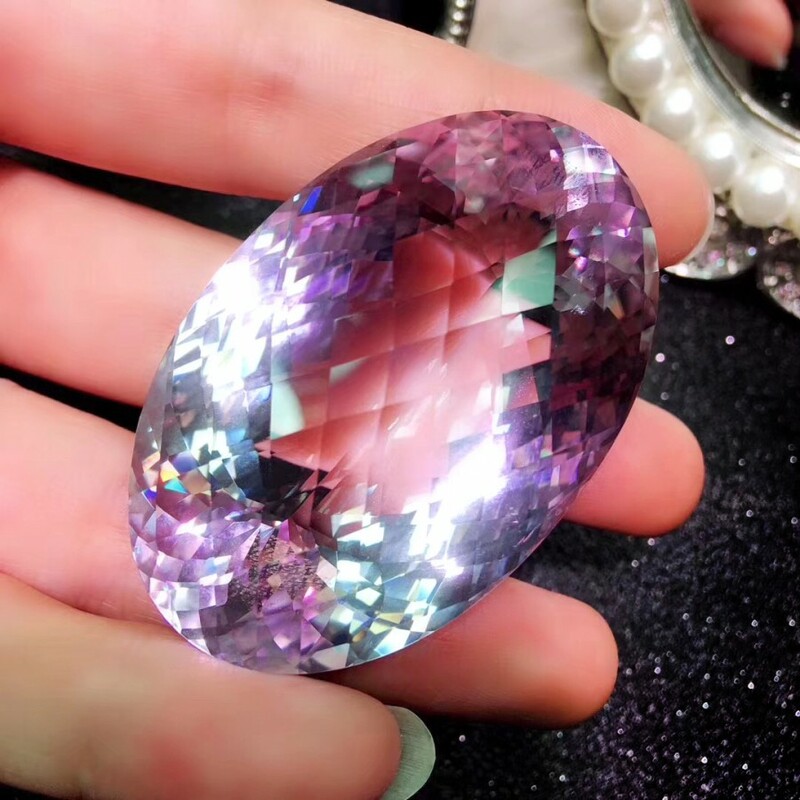 The highest grade amethyst (called "Deep Russian") is exceptionally rare and therefore, when one is found, its value is dependent on the demand of collectors.